Welcome to Good Cents Financial Coaching! Let Good Cents navigate you from a life of stress to a life of financial success. 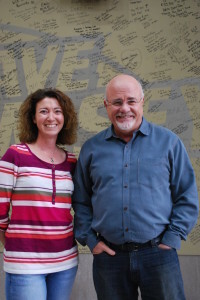 Good Cents provides one-on-one financial coaching sessions to impart to you (and your spouse) common sense techniques to get control of your money, based on Dave Ramsey’s proven methods. Sessions can be conducted in person, by phone, or by video conference. There are a lot of reasons to be stressed out about money. Here are just a few. If any of these sound familiar contact me! I can help. Behind on payments, bouncing checks? Constantly fighting with spouse about money? Worried about your low credit score? Tired of emergencies getting you off track financially? Sick and tired of loan payments (student loans, car payments, credit cards, etc)? Dreaming of retiring early? Or worried you’ll never have enough savings to retire? Trying to save for you child’s college? About to graduate high school or college? Before meeting with an attorney, meet with me. An attorney will push you to file; that is how they make money. But chances are you DO NOT need to file. Bankruptcy is an incredibly difficult, painful ordeal with long lasting consequences. Together, we can develop a better plan. Together, we can find hope. Unfortunately, there are many collectors out there who use illegal tactics to try to get you to pay up. I can walk you through the steps to take if you’re dealing with an unscrupulous collector. And we can develop a proactive plan to communicate effectively with collectors and make payments on your terms. Let’s get you caught up. Oftentimes, this is a result of just being too darn busy! Too busy to keep track of what and when things need to be paid. Too busy to prioritize. Let me help you get your finances organized and get you on a monthly budget so you can avoid late payment penalties and overdraft fees. Money fights are the number one cause of divorce of in North America. It’s not surprising since money affects every aspect of our lives. The flip side is the best way to strengthen a marriage is to get on the same page about money. Let me show you how to use each other’s strengths to work together to improve your finances and your marriage. Please beware of companies claiming they can clean up your credit score. Most of these use unethical techniques. Also beware of friends and family who give advice for ways to “game the system” such as opening a credit card account and charging just a little to it. You need to treat the root problem – debt. The ultimate goal is to get to a point that your credit score doesn’t matter. You’ll have money to make purchases; you won’t need credit (debt) anymore. In the short term, I can walk you through how to check your credit report and correct any errors. But that is just the first step. To truly clean up your credit, you need to pay down your debt. Let me get you on a plan to do that. Ugh, why is it when the car transmission goes out, the clothes dryer dies a few days later? Let me show how to be prepared for emergencies no matter when they hit. We’ll look at ways to save for small emergencies and make sure you have the right insurance coverage for the big emergencies. Debt is a thief. It steals your income. It steals your freedom. 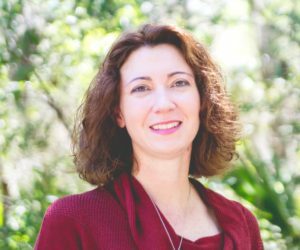 I can show you how you can become debt free using Dave Ramsey’s proven methods of budgeting and the debt snowball. Imagine never having a car payment again. It is possible! Good for you for thinking about long-term savings! Let me help you develop a plan to put your savings plan in overdrive. Congratulations! Now you’re ready for fun, new adventures! Shhh, don’t tell anybody, but you are my favorite person to work with. You have time on your side. Now is the time to make good money decisions that will last a lifetime. Let me help you avoid common money mistakes that many adults spends years cleaning up. Getting on a sound money plan early will set you up for a life of financial success!